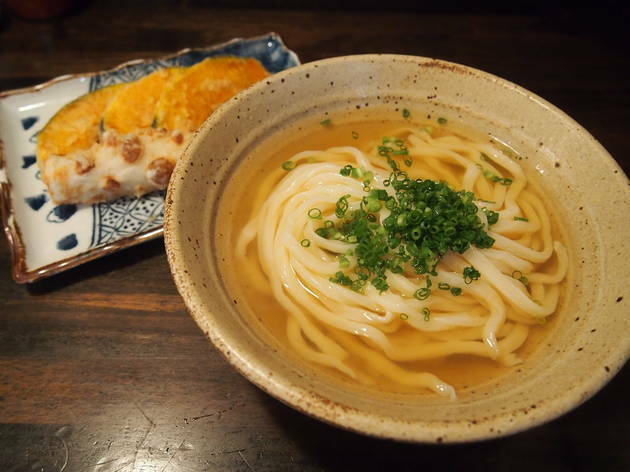 Only open five days a week during lunchtime, this udon joint close to Gakugei-Daigaku Station in Meguro can be real hard to get into – paying little heed to the listed business hours, the shop often runs out of noodles and closes long before 2pm. Prepare to queue up for a seat inside the small space, but once you get in, you'll be glad you did: the soft, aromatic noodles are served in a powerfully flavoured, sardine-based broth, making for a heavenly combination. 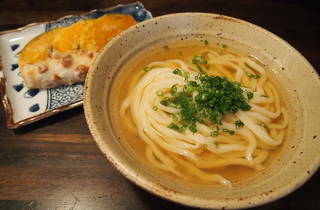 The tempura, fried on order, also maintains excellent quality: we recommend the mochi and soft-boiled egg varieties.